Lecturers in English here at Carlow College, St Patrick’s, Eoghan Smith and Simon Workman recently published Imagining Irish Suburbia in Literature and Culture, which they both edited. This collection of critical essays explores the literary and visual cultures of modern Irish suburbia. Suburbia in Irish literature and culture has received relatively little scholarly consideration, and this multidisciplinary volume redresses this critical deficit. Essays in Imagining Irish Suburbia in Literature and Culture are by prominent academics working in fields such as History, Sociology, Cultural Studies, Fiction, Poetry, Drama, Film, Contemporary Art Practices, Music, and Photography. 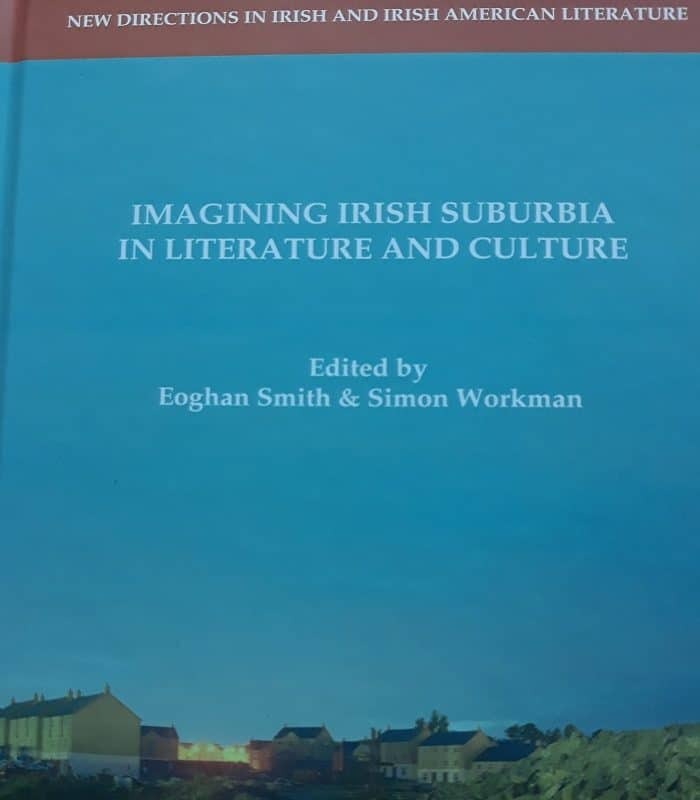 Contributors to Imagining Irish Suburbia in Literature and Culture are: Ruth McManus (DCU), Mary P. Corcoran (Maynooth University), Michael Cronin (TCD), Eoghan Smith and Simon Workman (Carlow College), Liam Lanigan (Women’s University, Texas), Theresa Wray (Ind. Scholar), Catherine Kilcoyne (UCD), Eamonn Jordan (UCD), Ruth Barton (TCD), Tracy Fahey (LIT), John O’Flynn (DCU), Justin Carville (IADT), Mark Curran (IADT), Anthony Haughey (DIT), with a foreword by Joe Cleary (Yale). The book can be purchased from Palgrave Macmillan.